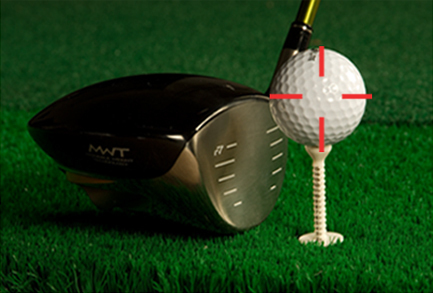 With the MEASURE side of the tee facing you, align the pointed tip of the tee with the bottom of the club face. Locate the NUMBER on the tee that aligns with the TOP OF YOUR CLUB (e.g. #12). 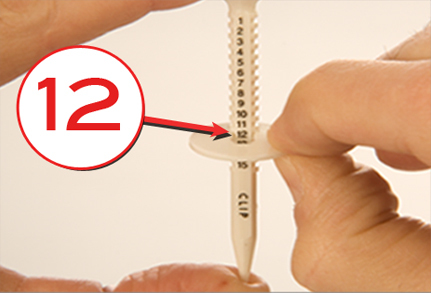 With the CLIP side facing you, insert the clip into the notch number found in Step 1 (e.g. #12). The perfect tee height every time! 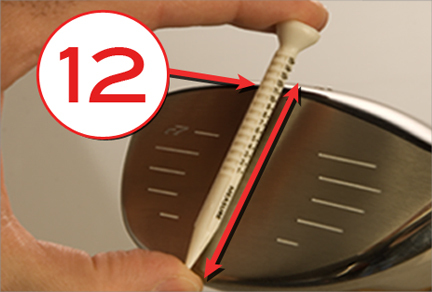 A patented measuring system aligns the equator of the golf ball with the top of ANY club face. The 15 settings enable adjustment for wind/weather conditions or personal preference!